There used to be an era of gaming when what you saw was what you got. If a game was glitchy and broken out of the box, then that is how the game would remain. Nowadays, the majority of games appear to be released half-baked with slow down issues, game breaking glitches, or save stealing blips making it onto the shelves. 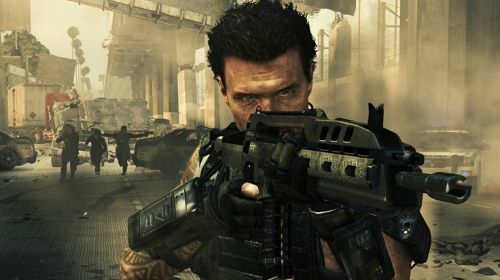 Call of Duty: Black Ops 2 is no different and Activision have released a first patch for each major platform. Below is a list of fixes for glitches. None of them relate directly to Black Ops 2's 4 player co-op mode, but they do impact upon it. The online has been improved for a better connection, which will hopefully prevent you from being kicked out of a game. The PS3 patch is probably the best news, as the matchmaking is being improved making co-op meet ups easier to handle. The full details across 360, PS3 and PC can be found below. Made infrastructure and performance improvements to Live Streaming. Made streaming performance improvements to video playback in CODTV. FHJ-18 weapon level is now increased by destroying Scorestreak vehicles and aircraft. Care Package/AGR canister exploit has been addressed. Patched a small map exploit in Aftermath. Addressed a rare situation that would cause the Emblem Editor menu to overlap other menus. Balance pass on spawn influencers to improve cases causing non-optimal spawning under certain conditions. Improved performance for emblem uploads to prevent an occasional hang. If there is an error connecting to servers during an upload, you will now be able to re-try your save. Emblems and Clan tags will now appear correctly on the Assault Shield when stowed on the back. Addressed all reported UI error code messages. Elite Clan Friends list no longer actively sorts players when their status is updated. The player list will refresh after closing and re-opening the tab. Improved a number of emblem icons in the Emblem Editor. Junkyard IV reward added to Calling Cards. Made performance improvements to matchmaking and lobby timers to start matches faster. Addressed an issue contributing to the majority of reported freezes. A small number of low frequency cases continue to undergo investigation for the next patch update. Many backend updates have been made since launch to streamline servers for load balancing. This results in many general improvements to matchmaking, user content servers, leaderboards and online security. Call of Duty Black Ops 2 Trailer is Here - Mechs, Quad Copters and Ponies! Page created in 0.2468 seconds.